In the Norse pantheon, the goddess Frigga, whose name means “beloved one”, rules over hearth and home, love, birth, renewal, motherhood, and wisdom. So important in status was she, it is her name that was given to our modern Friday. She is the wife of the All-Father Odin, by which she has two sons; Baldr, the god of light and poetry, and Hod, the blind god of darkness and winter. As the Queen All-Mother, she is the only other deity, aside from Odin himself, who is permitted to sit upon the great high seat, Hlidskjalf, which looks out onto the vast universe. As she is a sky goddess, Frigga often weaves the clouds to display her moods: dark and stormy, or clear and light. Though she has the ability to see into the future, she has no control over it. 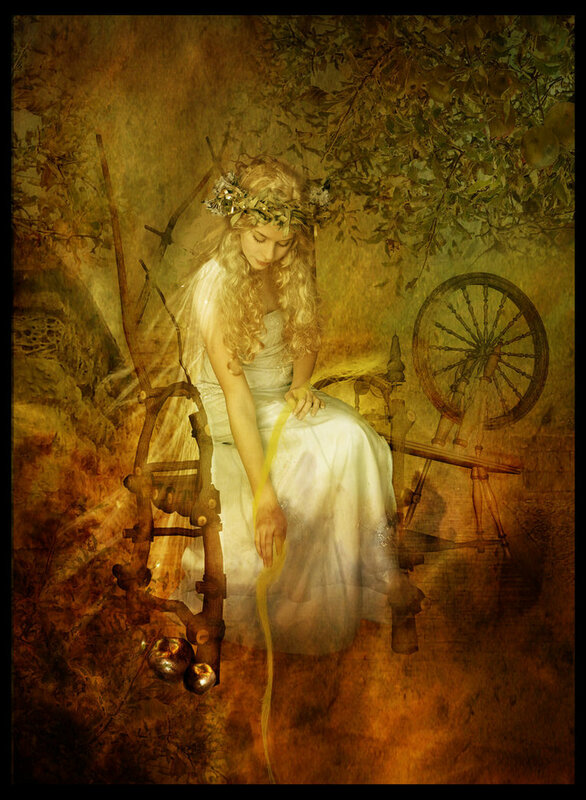 Rather, she sits at her spindle weaving destiny as it is given by the Norns, only sharing what she sees with her closest confidante, Fulla, who is one of her four attendants. She is often called upon to assist in childbirths, which is still done in modern times by burning a white candle during the winter solstice, and requesting the blessings of her gentle touch and guiding wisdom. Frigga can also be sought to include any new venture you may seek for a safe and successful transition. A goddess of both life and death gives her the paradoxical ability to assist in fertility spells, as well as aiding a soul to ease into the afterlife. Frigga reminds us of the power of femininity coupled with the resilience of courage and that pain and darkness, when endured, bring forth fullness and light.